Found in the Miami-Dade County area of Florida, Hialeah Gardens has a population of about 23,500 residents. The city is predominately single story developments and a part of the Miami Metro area. Miami-Dade County is a part of the Miami-Fort Lauderdale-West Palm Beach Metro area and has a population of nearly 2.7 million residents. The area also provides a place for millions of visitors every year due to the wonderful, sunny weather, many world-class attractions and the incredible events. Many visitors coming to the Miami area rent cars and become a part of the driving statistics for the area. A large portion are international visitors, as well. Hialeah Gardens is found near the Ronald Reagan Turnpike, State Road 826, and US 27 and not far from both Interstate 75 and Interstate 95. A large number of major roads run through the area, which provides dangerous driving conditions. The Florida section of I-75 is known as the 15th most deadly highway in the country, while the Florida section of I-95 is known as the most deadly in the country. I-95 is used by about 186,000 drivers every single day in Florida. About 45,000 traffic crashes occur in Miami-Dade County every year with nearly 38,000 injuries as a result. The 2014 Driver's Seat Road Rage Survey showed that Miami is the seventh least courteous area in the United States for drivers. Traffic accidents in both Hialeah Gardens and Miami-Dade County are on the rise. Can you imagine how bad the accident statistics would be if the roads in Hialeah Gardens were not monitored? In 2015, over 470,000 traffic infractions were handed out by law enforcement officials in Miami-Dade County. Nearly 90,000 were for speeding with 161,000 for running a red light (issued by red light cameras) and 54,000 for careless driving. These three offenses happened the most throughout the county. If you become a habitual offender and receive multiple traffic infractions, you could end up with a suspended Florida driver's license. Each infraction comes with points, which go on your driver's license. After receiving 12 points in 12 months, you will lose your license for 30 days. If that total reaches 18 points over an 18 month period, you will end up with a suspended license for 90 days. Any driver receiving 24 points in a 26 month period will lose their license for an entire year. It's not hard to rack up points in a hurry if you get more than one ticket in a short amount of time. After receiving a traffic infraction, you may have the option to use the basic driver improvement course in Hialeah Gardens to avoid points on your license. This course is also referred to as traffic school or defensive driving. It's offered right online, so you can take it on your time and at your own pace. The process is very easy. 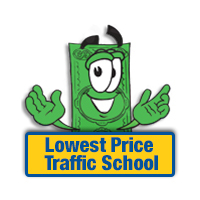 Just pay your ticket with the clerk of the court and inform them of your wishes to enroll in traffic school. Then, enroll in the basic driver improvement course and complete the course online. After completion, you will get a certificate of completion issued to you. Take this certificate to the clerk of the court and you're all set. By using traffic school to keep points off your license, you will not only keep it from getting suspended, but you will also keep your insurance rates from going up. 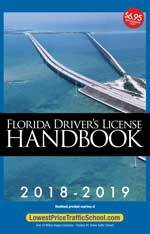 In the State of Florida, drivers are allowed to use traffic school up to five times in their lifetime to avoid points from a traffic infraction. However, if you've taken the basic driver improvement course in the past 12 months, you won't be eligible to take it again until a full 12 months has passed. If you have any questions about your traffic infraction or you want to pay your ticket, you will need to contact the Miami-Dade County Clerk of the Court. The clerk handles all traffic tickets issued in Miami-Dade County, regardless of the law enforcement branch issuing the ticket. Find out more about the clerk of the court by visiting their website.